Celebrate Your Customers with Fun Services! Special events are a great way to promote your company and establish or increase your customer base. Our Fun Managers can help you create the perfect event for promoting your business based on your theme, location and number of attendees. Fun Services can help you attract and entertain customers while they shop at your Grand Opening. Give away door prizes by inviting shoppers play any of the following games. How much cash can you grab in 30 seconds? Find out by renting Fun Services’ inflatable money machine! Give away cash, funny money or coupons inside our inflatable Slot Machine or Juke Box. 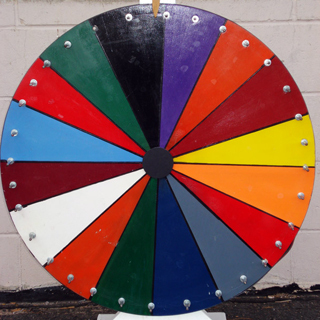 If you have a large variety or quantity of prizes, a spin wheel is a fun, visually appealing way of selecting prize winners. Choose from either our Number or Color Wheel. Fun Services has everything you need to make your raffle a success! We provide the raffle drum and duplicate numbered tickets – one ticket goes in the drum and the other is given to your guest. All you need to do is give the drum a spin and pull out the winning ticket! Fun Services offers three types of concession food machines – Cotton Candy, Sno Cones, and Popcorn – to rent and the option for the concession food stand to be full service.. Request a full service concession stand and a Fun Service staff member will make unlimited servings for you and your guest inside a red and white covered booth.